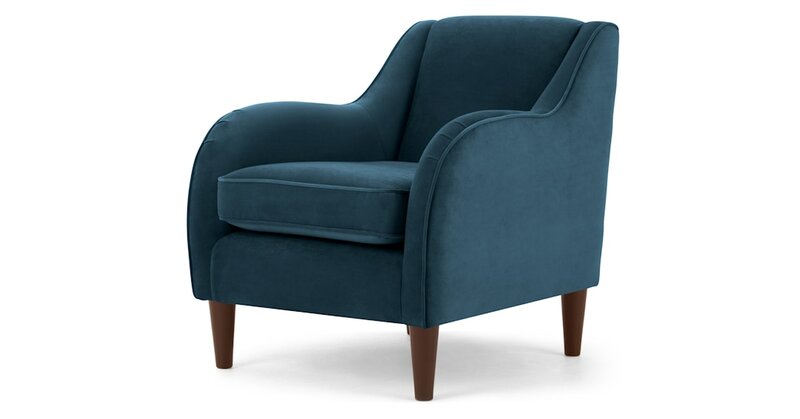 Sit back and relax in style with our Helena armchair. Made in the UK, its contemporary silhouette and finish make it perfect for adding the wow-factor. Upholstered in sumptuously soft velvet, Helena curves in all the right places. Featuring pleat arms and a slim foot, every detail has been carefully considered. Made with a fixed back cushion, its removable seat cushions are unquestionably sleek. And the spring to the back creates that nice reclined feel. It’s time to unwind.